California’s Proposition 64 did more than legalize recreational weed. The voter-approved measure also stipulated that researchers combat stoned driving by finding marijuana’s equivalent to the breathalyser with a grant from California Highway Patrol. Responsible for those studies is a team of psychiatrists at the University of California Center for Medicinal Cannabis Research (CMCR), a publicly-funded lab established twenty years ago for the sole purpose of studying weed. The CMRC exists thanks to another state law. California voters in 1996 decided to allow access to medical marijuana under the Compassionate Use Act. But because there was a lack of evidence available from the FDA about marijuana’s medical benefits, lawmakers several years later established a program to oversee high-quality research into the therapeutic effects of marijuana at the state’s University of California campuses. But the scientific community has a long way to go before it can catch up to the numerous health claims that companies that market cannabis products are making. Dr. Joseph H. Atkinson, one of the psychiatrists who runs the CMRC, recently spoke to ConsumerAffairs about the challenges of studying cannabis as a medicine. For people who want to explore the medical benefits of cannabis without getting stoned, the compound called cannabidiol hemp oil, or CBD oil, is often advertised as a so-called miracle cure. Because it is derived from hemp, CBD does not contain THC, the compound that gets marijuana smokers high. Companies selling CBD products tout various health claims with the added bonus of not making consumers intoxicated. “lt’s astonishing. CBD has gotten a lot of press, some of it well-deserved,” Atkinson says. There’s just one major problem. "There is virtually no research on the health benefits of CBD,” Atkinson says. The research gap isn’t due to to a lack of interest, though. 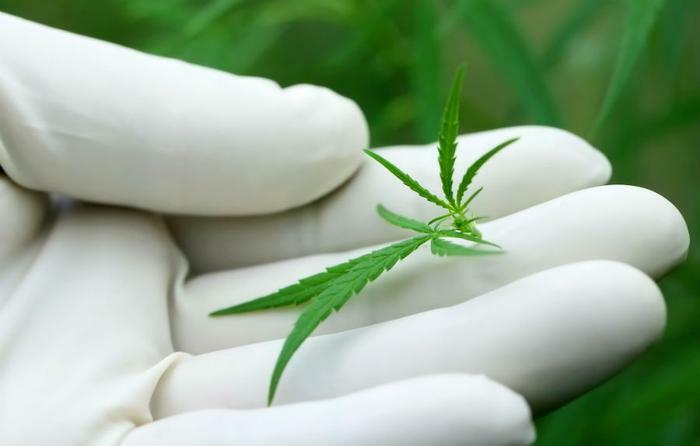 Federal laws mandate that all marijuana used for research come directly from the federal government, specifically the National Institute on Drug Abuse drug supply program. CBD currently isn’t available in the program, “so that’s an obvious impediment to research,” Atkinson says. If it were, he says that studies exploring the tolerability and side effects of CBD in healthy patients would be a good first step. The cannabis that is offered from the feds has its own problems. Psychiatrist Sue Sisley, who is studying the potential of marijuana to treat vets with PTSD, last year posted a photograph online showing the stark differences in government weed vs. what consumers may be accustomed to. “It doesn’t resemble cannabis. It doesn’t smell like cannabis,” she told PBS last year. Atkinson says the major issue is that consumers may now be purchasing marijuana with THC content as high as 20 percent. But the weed supplied by the feds isn’t higher than 8 percent potency, he estimates. Because the Drug Enforcement Agency still classifies marijuana as a Schedule I drug, the same category as other illegal substances like heroin, researchers have to jump through many hoops to study it. "It's not a very attractive area to go into, honestly, if you're an investigator,” Atkinson says. In fact, it’s much easier to study synthetic marijuana. Researchers at the CMCR, for instance, are currently studying the synthetic THC compound dronabinol and comparing its effects against inhaled cannabis for stimulating the appetites of patients suffering from HIV and cancer. Had researchers simply wanted to compare dronabinol to a placebo, the study would have been easy. Three synthetic marijuana compounds, including dronabinol, are already approved by the FDA, meaning that all the researchers need to study it is a license to prescribe it. But the inhaled cannabis aspect of the study is where “all the regulatory hurdles” come into play. Anytime a researcher wants to study cannabis, they must obtain approval from the FDA, the National Institute on Drug Abuse, and the Drug Enforcement Administration. Waiting on their approval adds about a year and a half to the research process. "Not many people are going to put up with those kind of delays,” especially in the “publish or perish” world of academic research, Atkinson says. That’s despite a growing interest in using cannabis to treat chronic pain, opioid addictions, and anxiety, among other common health problems.